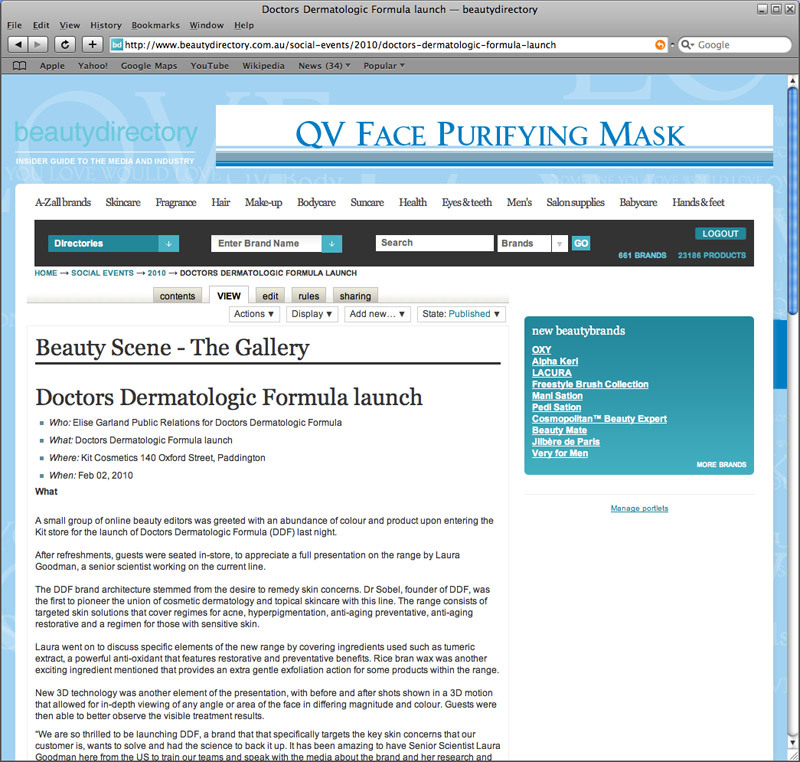 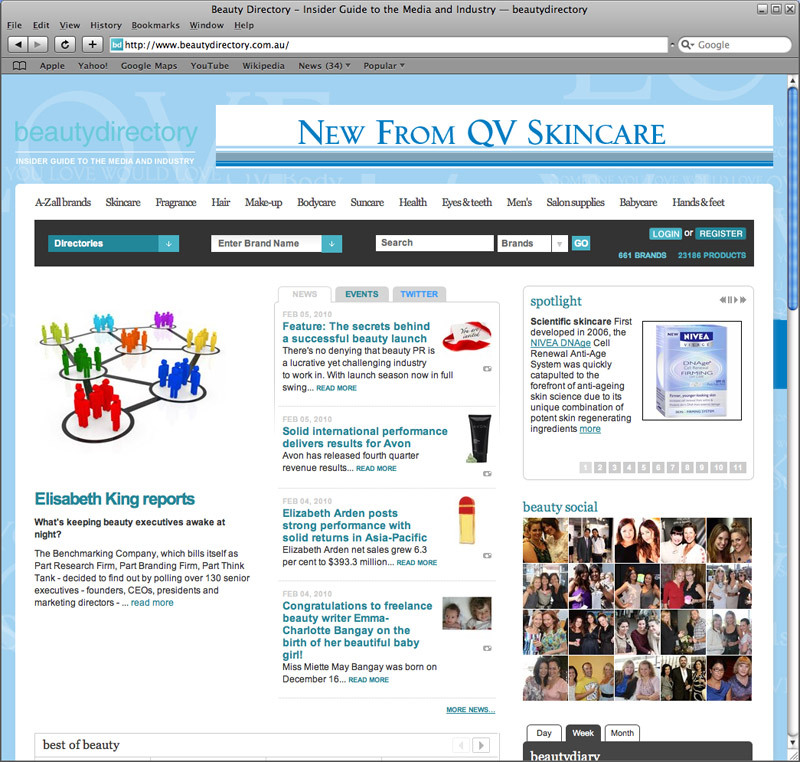 Beauty Directory is an essential beauty industry tool, fulfilling beauty editors' need for a central source of brand information, product images and PR contact details. 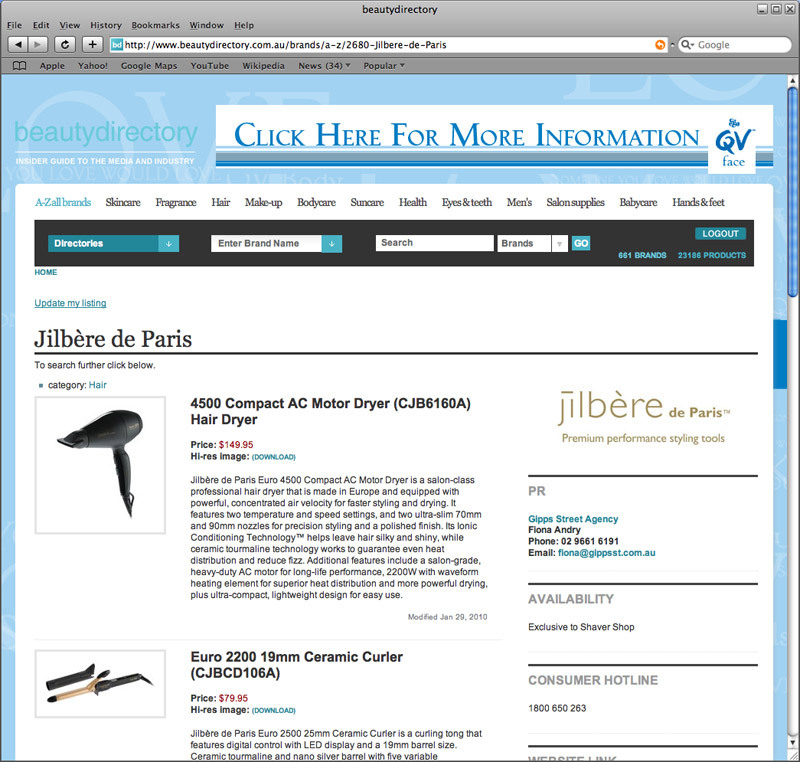 The site, which offers a database of over 23,000 beauty products, is separated into beauty categories and is a complimentary service to beauty writers. 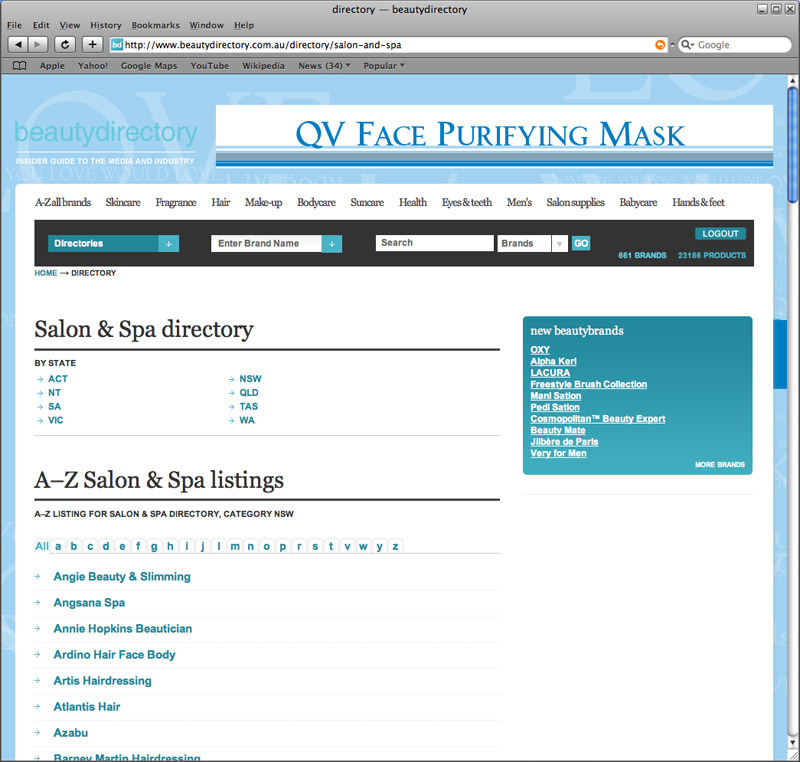 Plone has been used as the main CMS with a custom built MySQL application controlling the actual directory.